CLEMSON, S.C. – The No. 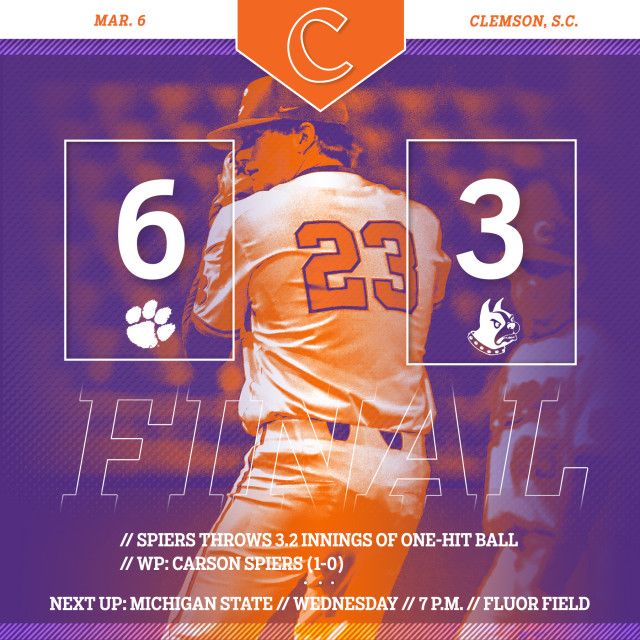 6 Clemson Tigers scored four runs in the seventh inning on a homer, five walks and a costly error to rally for a 6-3 victory over Wofford at Doug Kingsmore Stadium on Tuesday night. The Tigers, who improved to 14-0 all-time against Wofford at Doug Kingsmore Stadium, upped their season record to 11-1, while the Terriers fell to 6-6. Andrew Orzel hit a two-out, two-run double in the first inning, the first runs allowed by Clemson in the first inning in 2018. Justin Hawkins belted a solo homer, his second of the year, in the sixth inning. 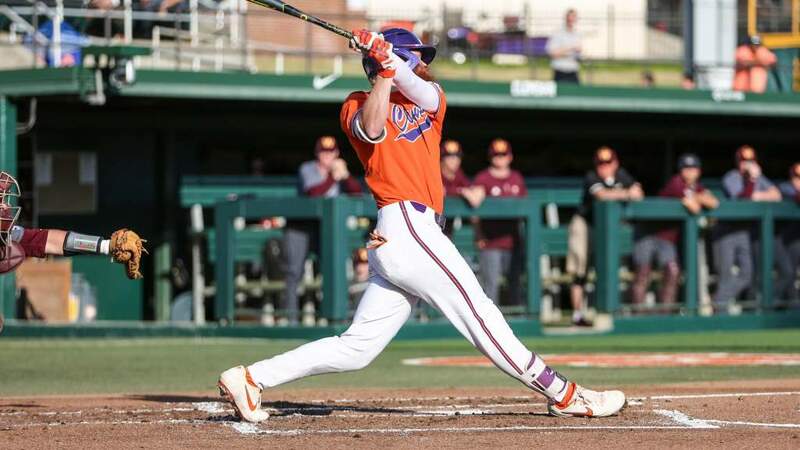 Logan Davidson crushed a solo homer, his second of the season, in the seventh inning to tie the score, then Seth Beer scored on an error later in the inning to give Clemson the lead. The Tigers added two more runs in the seventh inning on bases-loaded walks. Carson Spiers (1-0) pitched the final 3.2 innings in relief to earn his first career win. Wofford reliever Jake Hershman (0-1) suffered the loss. 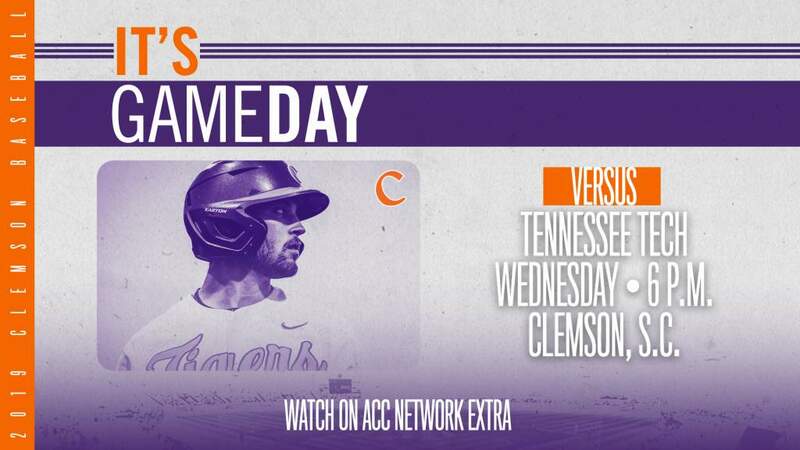 The Tigers travel to Greenville, S.C., to take on Michigan State at Fluor Field on Wednesday at 7 p.m. Clemson is the designated visiting team and will occupy the third-base dugout.